Having utilized the ACT as Colorado's state sponsored standardized test for the past handful of years, this year's juniors, the Class of 2018, will be the first to take the SAT. RV's SAT test date is scheduled for April 11, 2017. Junior year has always had a bad reputation amongst high schoolers, and even those whose cheerleading and football days are long behind them. Go up and ask any junior how their year is going so far – most will respond with an exasperated sigh or perhaps a short scream. The tough classes, the hours of homework, the extracurricular activities, and much more pile onto 16 year olds to make them feel as if they’re going insane. 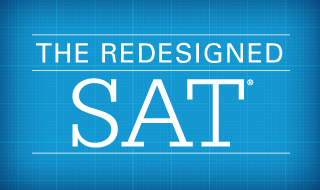 However, one of the absolute worst stress-inducing events of the year is the dreaded SAT/ACT. Both of these standardized tests have the ability to make a junior’s skin crawl and possibly give them a slight feeling of nausea. For current Ralston Valley juniors though, the SAT is the new decided upon exam to induce feelings of panic. The ACT has previously been the test of choice in Colorado for a decent amount of time. Although the ACT has been reformatted and revamped over the years, there is a good chance your parents took this exam when they were college hopefuls. After the decision to bring the SAT to Colorado in Spring of 2016, outrage poured out from many students. Numerous had prepared for the ACT and felt slighted at the new change. Because of the disgruntled audience, the Department decided that the juniors would begin to take the SAT in spring of 2017. For juniors, this switch is a big difference. It’s the change between a 1-36 point system and a 1-1600. It’s the change between English, reading, math, and science sections (ACT) or reading, writing, and math sections (SAT). However, SAT in Colorado is undoubtedly a good thing. Although most colleges will accept ACT scores, many out of state colleges prefer to compare SAT scores. By switching over, this will hopefully only mean one standardized test preparation for Colorado juniors.